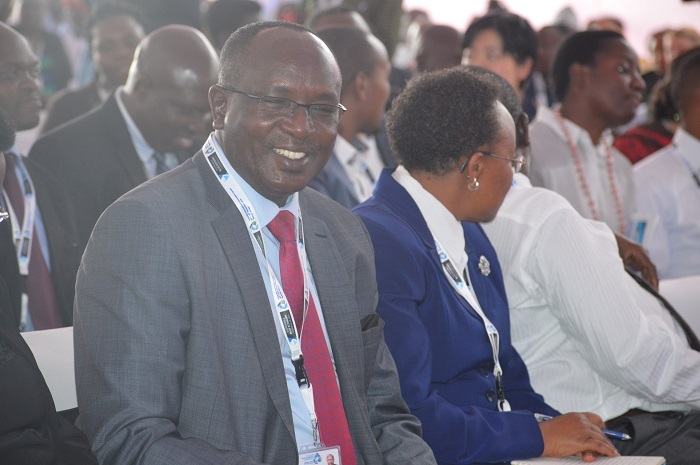 Kenya hosted the sustainable Blue Economy Conference from 26th to 28th November 2018 at KICC. Canada and Japan co-hosted the three-day conference. Kenya hosted the ongoing sustainable Blue Economy Conference from 26th to 28th November 2018 at KICC. Canada and Japan co-hosted the three-day conference. The conference seeks to harness potential of our oceans, seas, lakes and rivers to improve the lives of all people as well as harness latest innovations and scientific advances to build prosperity while conserving our waters for future generations. The conference was officially opened by H.E President Uhuru Kenyatta who pledged to foster a water resource-based economy that does not exclude environmental conservation. NEMA was among organizers of a side event on “Building the global momentum on marine/ aquatic plastics litter”. 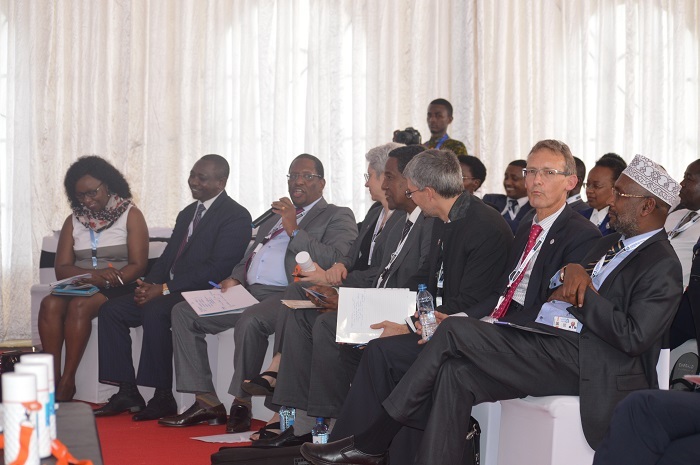 The side event was opened by Environment and Forestry Cabinet Secretary, Mr. Keriako Tobiko who noted the progress made in the fight against pollution. He alluded to the successful implementation of the plastic bags ban since August 2017. 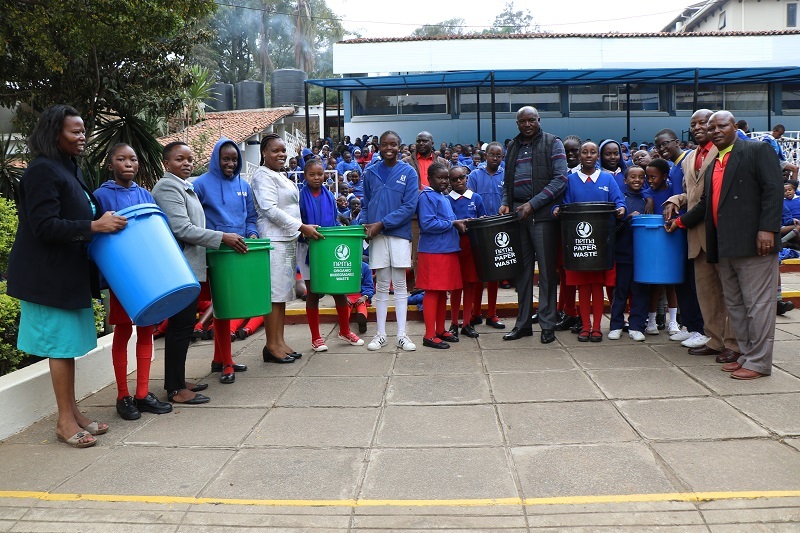 However, he expressed hope that PETCO who have been charged with the duty of recycling PET bottles with live to its promise and reduce the amount of plastic bottles littering the environment. 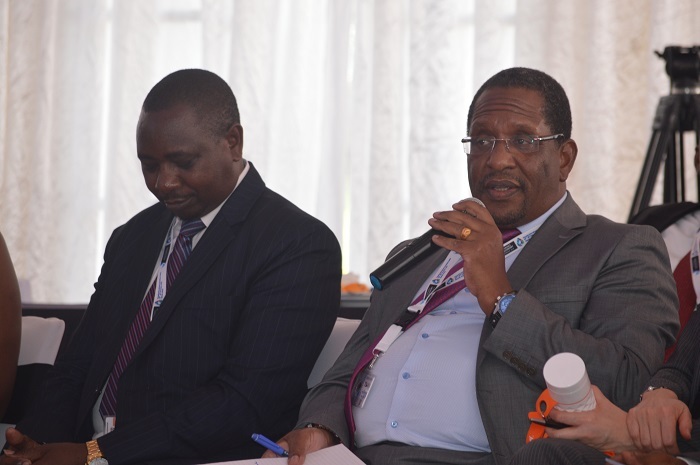 NEMA Director General, Prof. Geoffrey Wahungu was among the panelists during a side event. Prof Wahungu presented on “Plastics Bags Ban implementation and experiences.” “The ban has been by and large been success. The Authority has recorded over 85 percent success rate. This is evident from various cleanups at the oceans,” Prof. Wahungu stated. According to the Director General, the critical lessons learnt from the ban includes the following: favorable constitutionalism - revision of EMCA 2015 that gave the Environment CS powers to make recommendations on situations to avert degradation of the environment; partnering with relevant private and public sector such as UNEP, KAM particularly in awareness creation; awareness creation among Kenyans was critical for success of the ban; keeping critical data-the Authority was able to trace its records since 2007 when the journey to ban plastic bags began and enhancing regional cooperation. He noted one of major hurdles to success of the ban is because plastic bags are getting their way from neighboring countries that have not effected the ban. The Director General also attended a bilateral meeting with Sweden and Djibouti chaired by Environment and Forestry CS, Mr. Keriako Tobiko. NEMA is also exhibiting during the conference. The conference is expected to capture commitments and practical actions that will help the world transition to the blue economy. The conference brought together 16,320 delegates from around the world saw countries commit to put money aside to protect oceans, seas, lakes, rivers and the general ecosystems. Kenya committed to establish a blue economy bank to support the growth and development of the sector. Kenya also promised to ensure safety and security in the high seas so that global trade, connectivity and all businesses can thrive unhindered and unfettered. On plastics, President Uhuru Kenyatta promised to confront the challenge of waste management and plastic pollution.